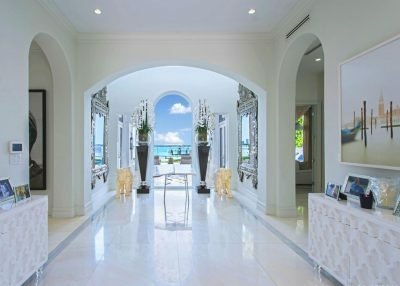 Experience this stunning house described by some as Miami Beach’s very own Casablanca. 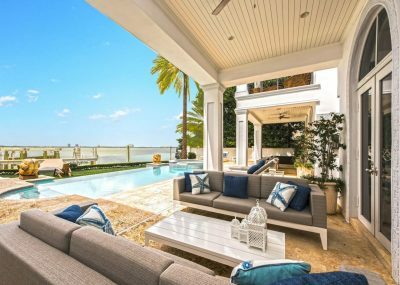 It offers gorgeous wide views of the bay and the lifestyle of luxury. 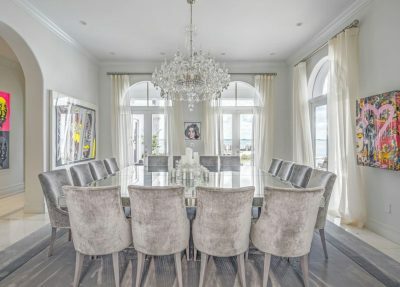 It has an abundance of natural light with excess windows and terraces spread throughout the house to enjoy the ocean breeze and everything else that comes with living oceanfront. All the rooms are very large with high ceilings and the finest details. This leads to perfect, comfortable alone time and great spaces to entertain guests. 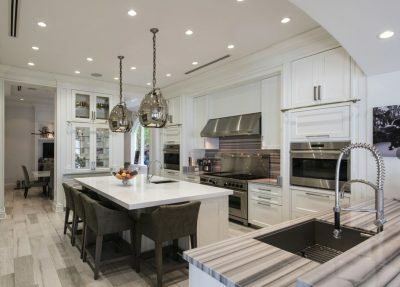 Some additional features include an elegant chef’s eat-in kitchen that’s connected to an informal dining area and waterfront family room. There are also plenty of additional rooms including a formal dining and living rooms, office, and 5 en-suite bedrooms upstairs. 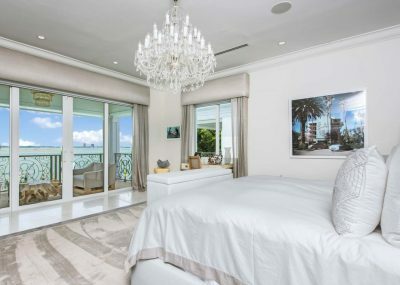 The gem of this house is the extravagant and elegant master suite. 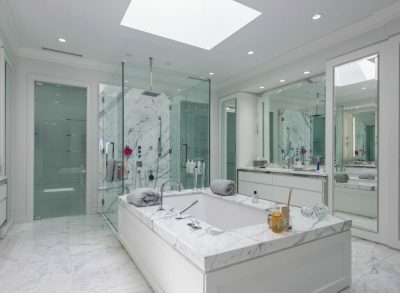 It includes a marble bath & free standing tub, his & hers water closet & built-in dressing areas surrounded by huge light-filled his & hers closets w/ water views, pajama lounge & private terrace. 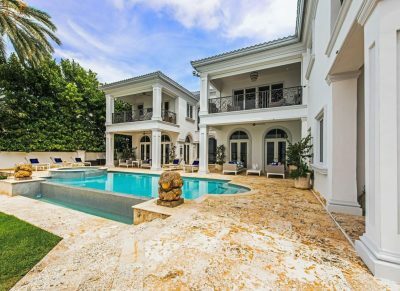 Everything you could ask for in a house is in this Miami Beach Stunner.